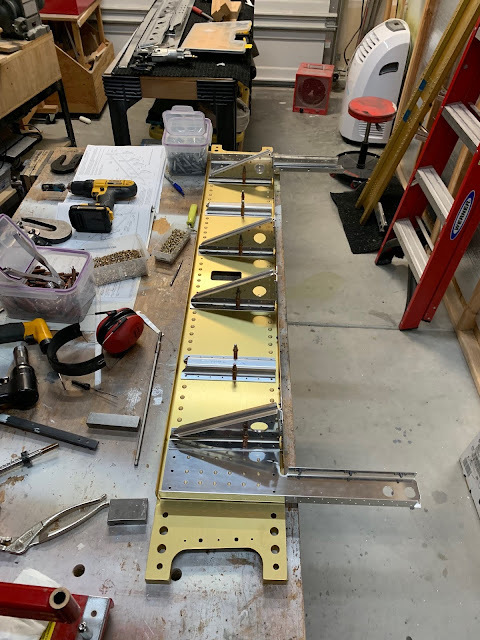 This week I spend most of my time working on the bulkheads for the fuselage. This is particularly relaxing because its simple follow the instructions type stuff. I also have very little priming to do on this section of the fuselage because it will never see water. The tail-cone does get wet inside when it rains as water rolls down the vertical stabilizer, under the fairing and into the tail-cone. However there is no place for water to normally enter the forward section of the fuselage so I don't plan on priming anything that is Al-clad. This is the set up I use to rivet the big 470 rivets on the spar carrier bulkhead. 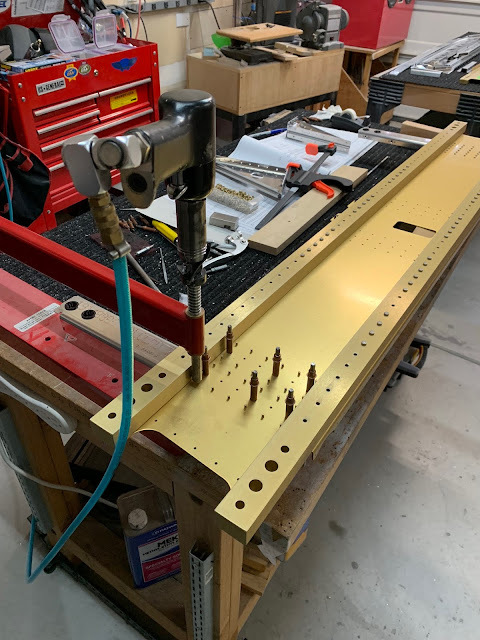 You can see the rivets set in their holes but you can't see the scotch tape that I used on the back side to hold them there while I drive them from above with the rivet gun stabilized by the C-Frame. This makes for some very consistent and strong rivets. 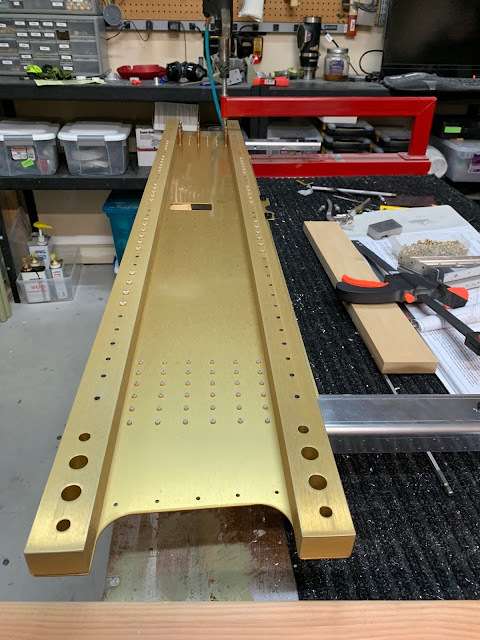 This is the other end of the spar carrier where I have completed the riveting process. Here is the rear portion of the spar carrier bulkhead. You can see that it has several seat rail brackets as well as a couple of stiffeners that get riveted and bolted on. In this picture I had already completed riveting the two outside supports similar to the first two pictures.